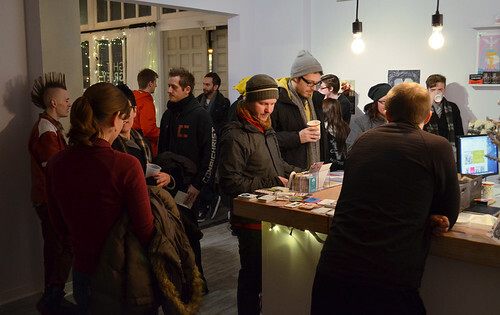 Thanks to everyone who was able to make it out in the cold to attend the 6 Degrees opening reception! It was such a wonderful, warm spirited, and celebratory evening! 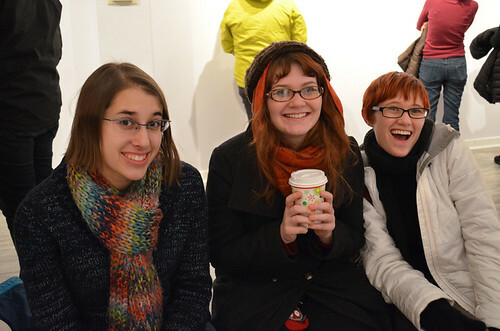 We invited everyone in with a hot cup of cocoa, tea, treats, and drinks- it really felt cozy! Walking into the gallery, guests were delighted by the tiny postcards, attention to detail, printing techniques, and true care that came from these personal homages of home. Each image, reveals a sense of hometown pride, secrets of the cities, intimate and meaningful memories, and some of the most captivating and breathtaking views around. Looking at all of the pieces together truly creates a sense of comradery and collaboration- it is a positive, cultural, and interesting perspective on the places that we call home. There was quite the crowd around the hot cocoa station! 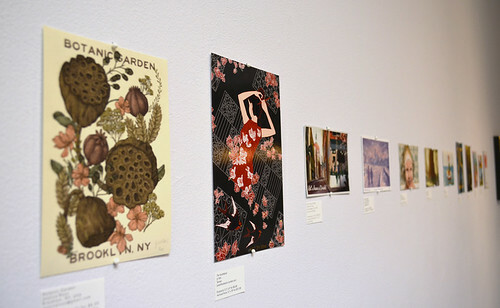 All of the artist in the show receives the entire collection of postcards, able to mail, share, and re-share these pieces. Each postcard is signed and editioned, available as prints or postcards on the online shop for you to hang, frame, mail, or gift! 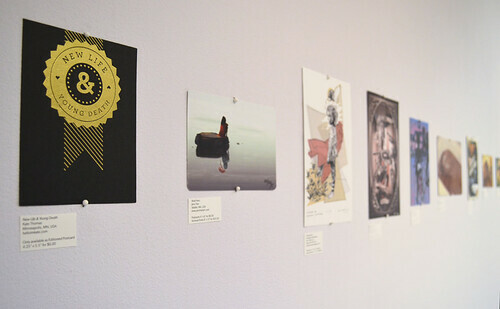 6 Degrees will be on display from now until January 17th. You are welcome to stop by and see the collection in person Wednesday-Saturday from 12-7pm and Sundays from 12pm-5pm. We hope to see you here! 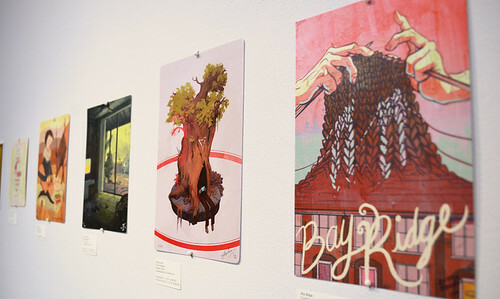 You can all see the entire collection of artwork on the 6 Degrees digital gallery on the Light Grey website, more images of the opening reception here on the flickr page, or on the Light Grey Shop.